What is the elbow support AM-SL-02? 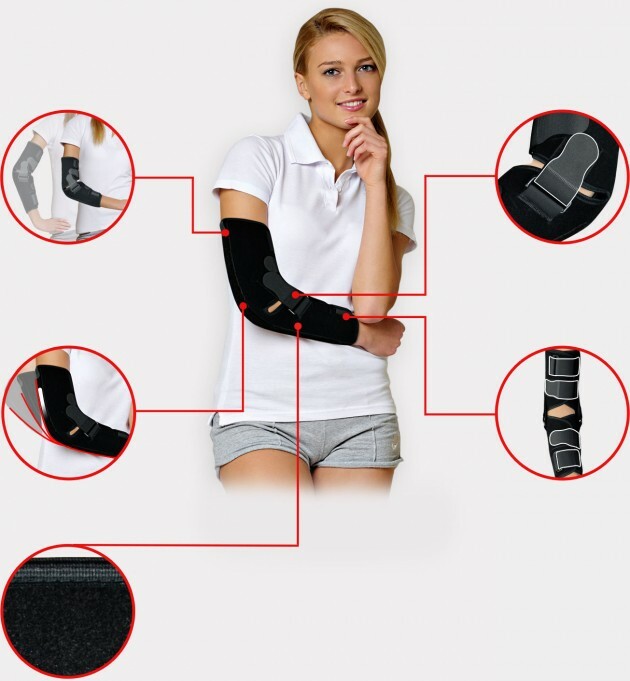 The brace has a lock function of extension and the ability to set any angle of the elbow. 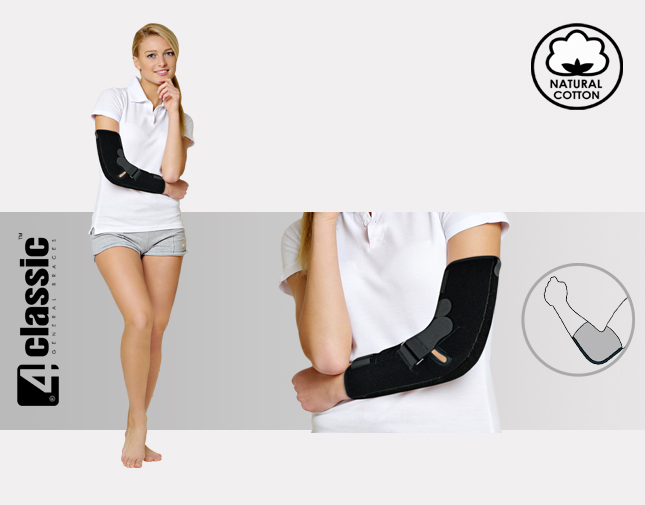 The brace has a lock function of extension and the ability to set any angle of the elbow. In addition, in the product installed two regulated angle fastenings, blocking smoothly possibility of extension of the limb. The product is equipped with an aluminum orthopedic steel, which can be any shape and which provides the stiffness of the product. On the forearm and arm used two pairs of Velcro fastenings with buckles, so it’s easy to adjust the orthosis to each limb. AM-SL-02 Elbow brace made ​​from AirDistance II. This material is a soft material, and inflexible, which is ideally suited for the construction of modular apparratuss devices, where the function of control flexion and full lock function is very important. Knitwear due to its stiffness do not pull out so that the patient feels very confident in the product, the products from the material successfully replace the slaces of plastic, while not causing bedsores, abrasions and damages to the epidermis. The use of knitted terry inside this further improves comfort of using.